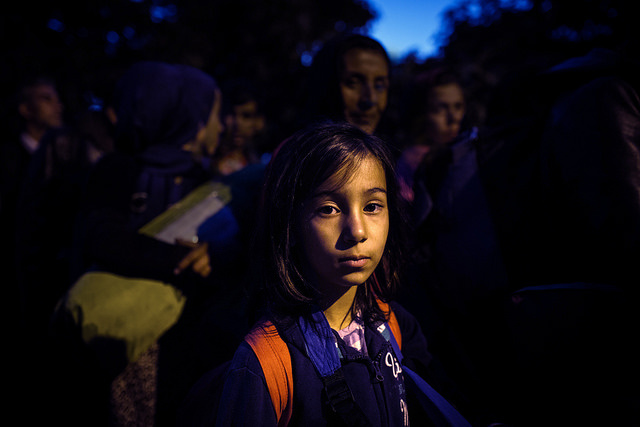 The registration centre in Presevo for refugees crossing from the FYR of Macedonia to Serbia recorded its highest number Saturday with 7770 new arrivals. More than 9000 entered Serbia Saturday in total. Nearly half were children. 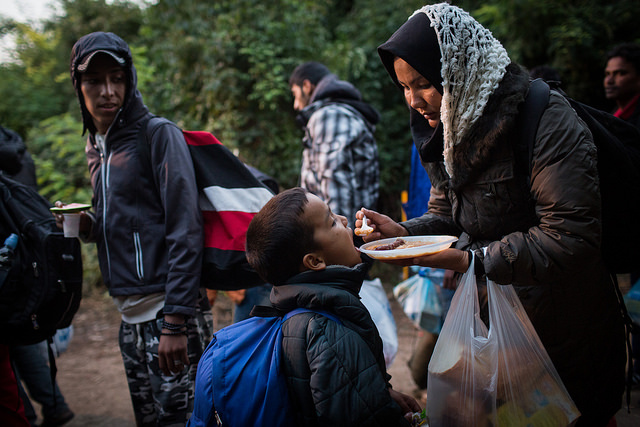 They are part of the worst refugee crisis in Europe since the second world war. More than 670,000 people have crossed into Europe this year, with 56,000 arriving in Greece in just six days last week. They are fleeing conflict in Syria, Iraq and Afghanistan. They make their way by boat from Turkey, to Greece, the FYR of Macedonia, Serbia, Croatia, Slovenia and then on to Austria, Germany and other European countries. Caritas distributed 1000 food packs in Presevo over the weekend, with 300 hygiene packs for women and 120 for babies. Across the country, large groups of refugees are stuck at the illegal Berkasovo crossing to Croatia. It’s a muddy path in a cornfield, so this makes it harder to organise any assistance there. Conditions are dire. In Berkasovo, Caritas volunteers and staff members have been active in packing and preparing food and hygiene. This weekend they were able to distribute around 1000 food packs, around 140 hygiene packs for women and 150 hygiene packs for children. Caritas staff members are also helped by a group of 30 young volunteers from Caritas Czech, who are staying at a Greek Catholic parish nearby. These volunteers cleaned the site of Berkasovo border crossing, which is filled with garbage. Magdalena Pavlovic, Caritas coordinator at the border with Croatia, said: “On people’s faces we could see tiredness and exhaustion. There were many children among them and they had to walk for 4 km to get to the border crossing with Croatia. So far Caritas in Serbia has assisted over 21,000 people with food packs, 5600 women with hygiene packs and distributed over 1800 baby hygiene packs. 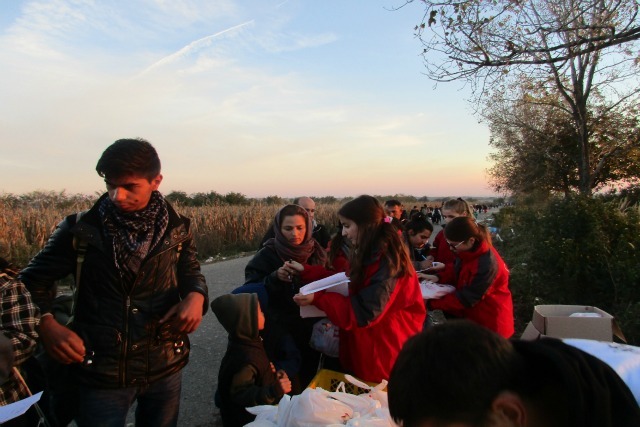 In Croatia, Caritas volunteers prepared 10,000 lunchboxes for refugees in Opatovac across the border. Caritas Croatia is also delivering bunk beds for a new camp and will provide winter tents. Around 250 Caritas Solvenia have been delivering food fish cans, milk and apples, as well as blankets. “There is still big need of food and warm blankets and clothes as many people sleep over the night outside as there is not enough place in the centres,” said Jana Lampe.